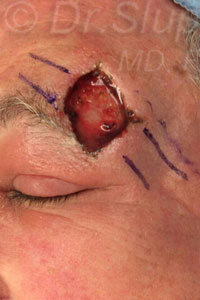 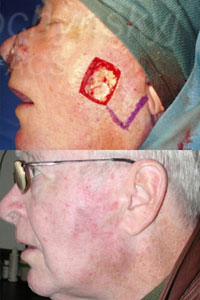 65 year old male required a MOHS Basal Cell Carcinoma excision, followed by complex advancement flap forehead reconstruction to repair the defect. 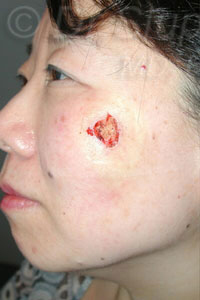 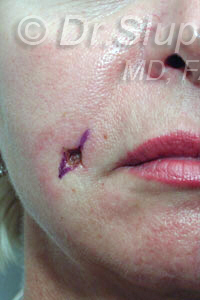 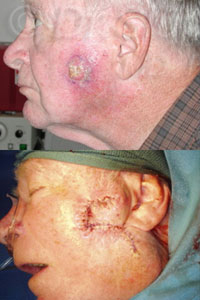 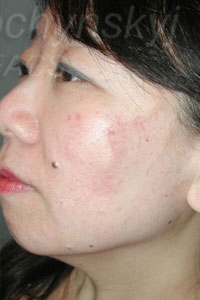 Female patient who had a mid-forehead Basal Cell Carcinoma defect. 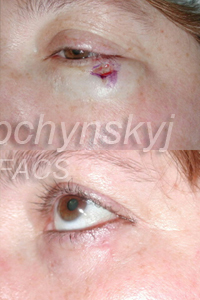 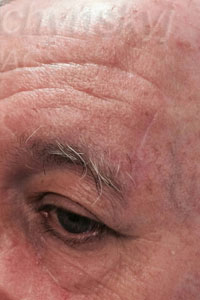 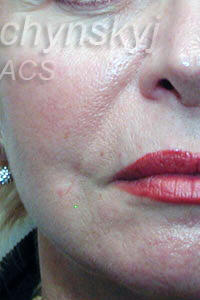 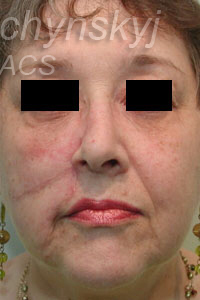 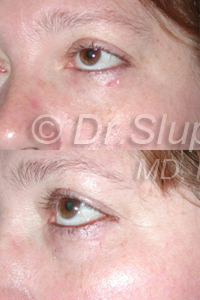 An OT bilateral advancement flap was used by Dr. Slupchynskyj to reconstruct the forehead.